Are you having problems with slow drains? 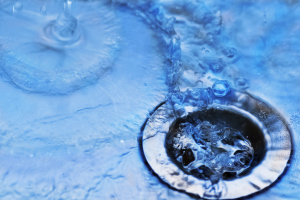 One of the most common plumbing issues in a home is a clogged drain. A clogged drain in your kitchen or bathroom sink and showers can be inconvenient and create a real mess. Plumbing issues associated with clogged drains are slow draining shower or bathtubs, and low water pressure. At Rodger’s Plumbing, we provide professional drain and sewer cleaning. We offer drain cleaning, drain line cleaning and sewer line cleaning plumbing services to Dallas, Texas. Trust us to get things flowing again. Look out for signs that your sewer may have a clog. Regular sewer and drain cleanings can help keep your drains flowing, but will not always prevent a clog from occurring. Clogged drains are a nuisance and can cause major headaches for homeowners throughout Dallas, Texas. Needless to say, a clogged drain is something that should be corrected as quickly as possible to ensure that you maintain and healthy and safe environment. At Rodger’s Plumbing we have over 46 years providing long lasting drain cleaning solutions that will correct even the worst clogged drains. Get the benefit of our many years experience by calling us now at (972) 931-1021. Having plumbing services performed can help avoid any serious issues from occurring. In some instances a drain clog can be severe enough that it can damage your plumbing system. By having one of our plumbers evaluate your plumbing system they can take care of any minors issues before they become major ones. We provide a wide range of drain and sewer cleaning services throughout Dallas, Texas including towns such as: Frisco, Hebron, Mckinney, North Irving, North Mesquite, Rowlett, Murphy, Wylie, Sachse, Garland, Allen, North Dallas, Richardson, Plano, Carrollton, Addison, Farmers Branch, Coppell, Highland Park, and University Park.